Welcome to Reays Group Travel - now please sit back, relax and let us take care of all the travel and accommodation arrangements for you and your party. Are you organising a shopping trip, hen or stag weekend, or just a general weekend away for a group? 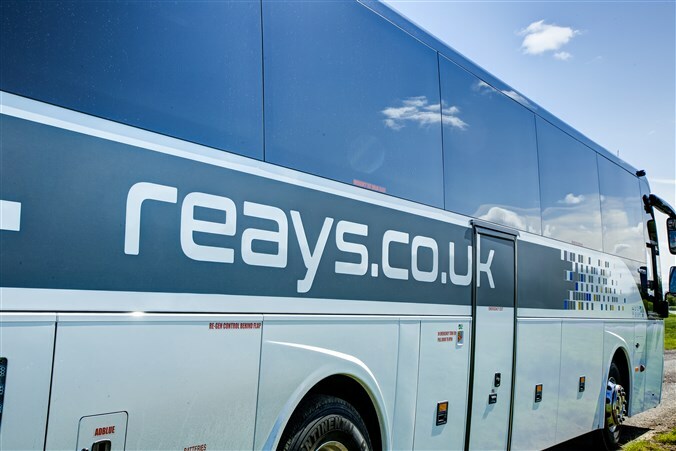 Reays will provide you with a luxury coach or mini coach and an experienced driver and we'll even book you a hotel for the duration of your stay if you wish. No need to worry about any tricky transfers or connections during your trip or collecting money from passengers, from lunch stops to admission tickets, it's all organised for you by us from start to finish, whether in the UK or abroad. All groups are welcome, whether it's for leisure, pleasure or educational purposes. Our fleet of modern vehicles cover everything from a 7 seater to an 87 seater double decker all featuring the latest high-tech facilities. Just chose whichever is best for you and your group. Among those who already enjoy the benefits of using Reays' Group Travel are a number of sports clubs, schools, sheltered housing groups, private clubs, museum groups and military veterans, but it can simply be just a group of friends or people with a shared interest. Many groups travel with us year on year because they are so pleased with the comprehensive service we provide. Call our team to find out how we can plan the perfect trip for you with Reays' Group Travel.